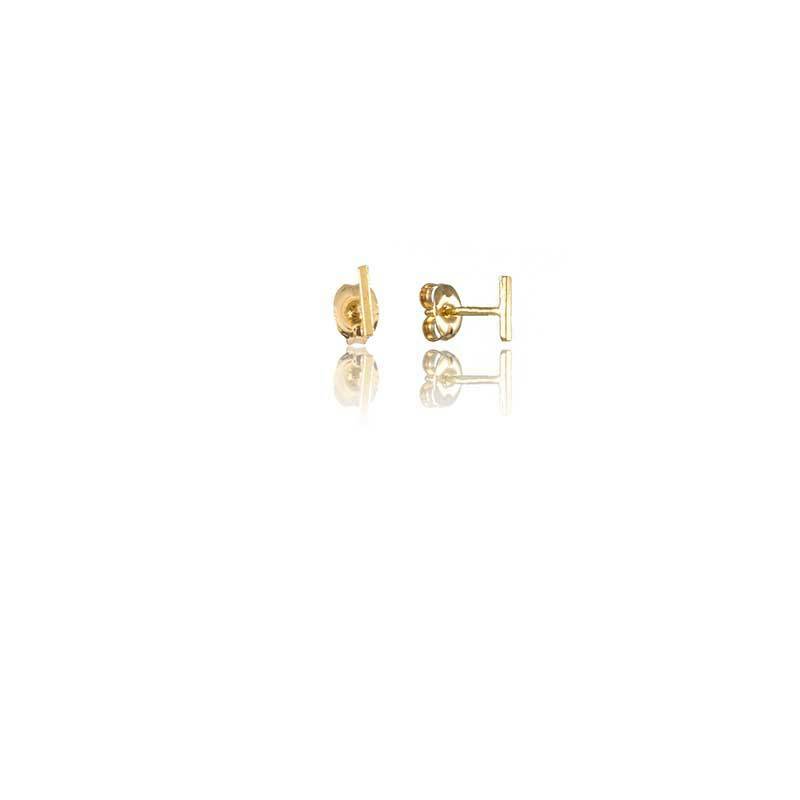 The daintiest ingot stud earrings, vermeil and gold filled by The Pi Collection. These are the daintiest little ingot stud earrings. Wear them for everyday or mix and match with other geometric styles. These wee ingots are handmade with vermeil and gold fill, measuring only .25" x .0625". Each piece is designed and handmade by The Pi Collection in Honolulu HI, USA. Please take care when cleaning gold-filled and gold plated jewelry to protect the layer of gold from being worn away or nicked. Do not use abrasive compounds to clean the jewelry. Handmade in Honolulu HI, USA.